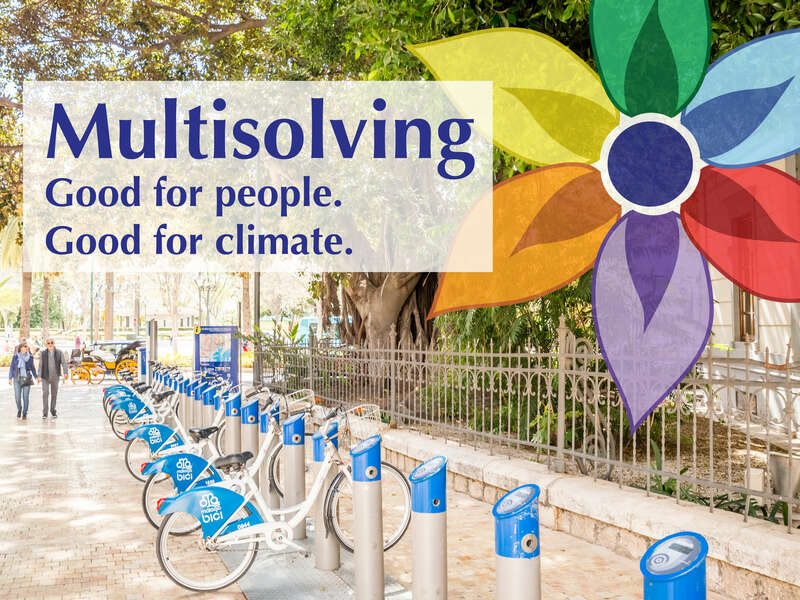 We apply our ongoing research on multisolving to help people design and implement climate-smart programs that capture the co-benefits of mitigating climate change and share those benefits in equitable ways. Our projects apply systems thinking, system dynamics computer simulations, and collaborative learning to help stakeholders discover those investments that could result in a desired mix of multiple benefits. Equity and Green Infrastructure in Atlanta. Working with the Partnership for Southern Equity we are convening conversations of Atlanta leaders, from community groups, public health, city government, the environmental community and philanthropy, to take a multisolving approach to the challenge of scaling up of green infrastructure in ways that benefit everyone, especially people from under-served communities. Ongoing coaching and advising to a number of projects worldwide. Contact us if your project might benefit from what we are learning. We also offer training and capacity building projects with communities and organizations. For example, we offer trainings in the use of our FLOWER framework and we lecture and teach about multisolving to audiences in the US and internationally. Sustainable Communities in Connecticut. We worked with the Institute for Sustainable Energy at Eastern Connecticut State University and the Connecticut Conference of Municipalities to help Connecticut integrate multisolving principles and develop a community sustainability rating system. Vulnerability of Teleconnections. We are helping the leaders of a study on cascading climate change impacts in Los Angeles to incorporate opportunities for multisolving into their project. Milwaukee Green Infrastructure Scenarios Tool. From 2013-2015 we worked in partnership with the Milwaukee Metropolitan Sewerage District, 16th Street Community Health Centers and 1000 Friends of Wisconsin to create a system dynamics simulation of the multiple benefits of green infrastructure in on of the most densely populated watersheds of the city. With our partners we used the simulation to convene a series of conversations about the opportunities existing at the intersection of health, justice, water, and economic prosperity. If you are interested in receiving training in multisolving or partnering on a project, please email multisolving(at)climateinteractive.org.